The guitar amplifier has been around for years, pretty much every angle has been addressed. Except one. Classic valve tone and feel, without the weight and maintenance of a classic valve head. Creating great tone from valve pre-amps is nothing new, some are better than others, but it is a well known technology that has stood the test of time. A few years ago we began to see the rise of modelling amplifiers. Modern electronics that sought to replace that heavy valve head or combo with a digital solution. Of course you still needed a power amplifier to bring the pre-amp signal to a useful level. This is where our GT-FX series power amplifiers stepped in. If you have not been following the scene, you may not have heard of us, but our amps have been seen gracing the racks of hundreds of well-known guitarists. From Chris Broderick (Megadeath) through to George Pajon (The Black Eyed Peas), Dino Cazares (Fear Factory) to Steve Stevens (Billy Idol) our GT-FX series amps have been seen, and heard, on stages all over the world. Praised for their "tube like feel" and sheer power, they deliver a lot from a lightweight box. 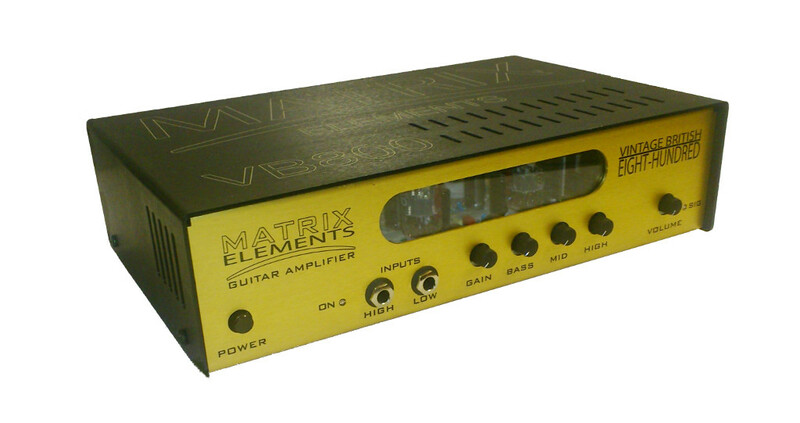 The latest act in the Matrix story is to pair the classic sound of a time-tested tube pre-amp with our power amplifier and power supply technology to deliver classic valve tone in a lightweight reliable package that really delivers. Forget the old stories of hybrid amplifiers that sounded like a bad dream from the 1980s, our range of lightweight valve driven amplifiers is a whole new chapter in the sound of the guitar. Classic tones, without the classic weight.